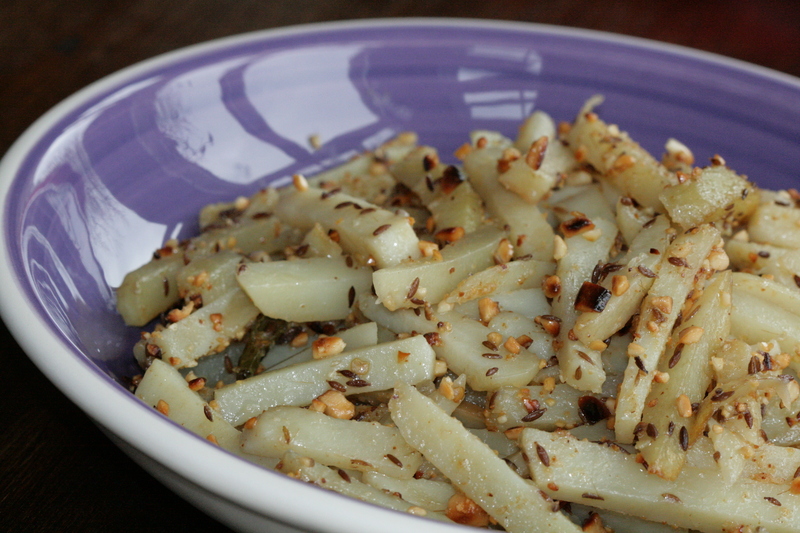 Potatoes and peanuts may sound like a strange combination to the uninitiated but it tastes heavenly. Probably one reason why this dish also doubles up as a ‘faraal’ dish on upvaas days. Traditionally, this recipe calls for the potatoes to be grated. However, my mum and her mum too have always chopped the potatoes into thin long strips. (A bit like shoe string fries.) And so, this is presented here as I remember this dish and how I’ve continued to make it. My husband loves it so much that he has now taken over making ‘batatyacha kees’! In a sauté pan, heat the oil; add asafoetida and the cumin seeds. When the cumin seeds splutter, add the chopped chillies and allow them to flavour the oil. Add the potatoes and sprinkle the salt. Toss to ensure that the potatoes are coated with the cumin seeds. Use a steel plate or concave lid to cover the sauté pan. Pour some water over so that the potatoes can cook in the steam, over a medium flame. Do not add any water into the pan. In about 12- 15 minutes, check to see that the potatoes are cooked. If not, replenish the water on the plate covering the pan. Once the potatoes are completely cooked, take off the lid/plate. Cook for a few more minutes so that any excess liquid in the pan evaporates. Add the crushed peanuts and coriander leaves. 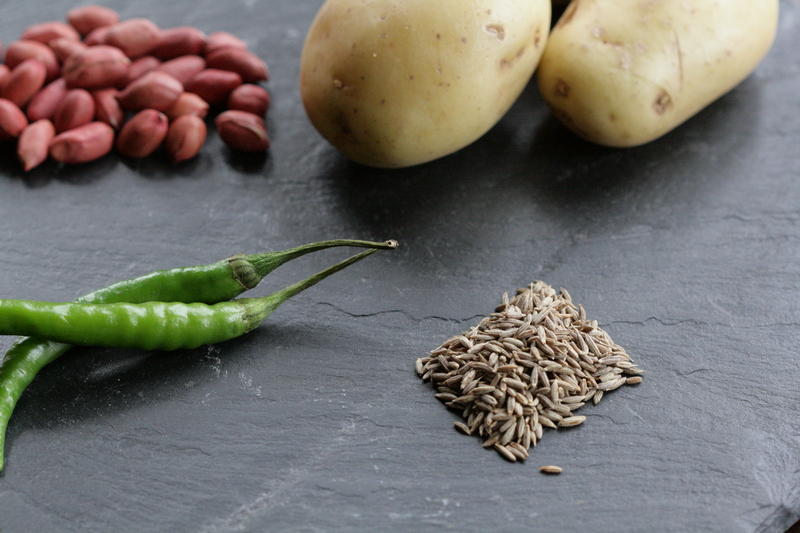 This entry was posted in Batate (Many ways to cook potatoes) and tagged batate, batatyacha kees, cumin, kees, peanuts, potatoes, spicy julienned potatoes, upvaas food, upvaasacha faraal. Bookmark the permalink.